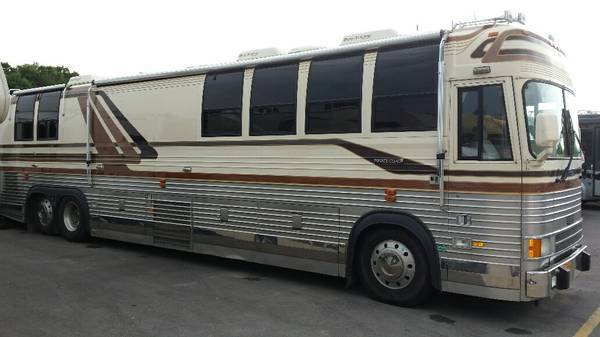 RV Details: FULLY REFURBISHED 2010 Prevost H3-45 Motor Coach — Refurbished using a 2001 chassis from top to bottom! Powered by a 430 HP Detroit Series 60 Diesel Engine and moved by an Allison B500 Automatic transmission, this new to you bus is ready to go anywhere. Option for the driver are unbelievable, including air brakes, tilt/telescopic steering, cruise control, air seat, power & heated mirrors, power front window shades, and an AM/FM/CD radio. Passengers ride in complete comfort with tinted windows, air conditioning, full track seating, and reclining activity style seats with arm and foot rests. Individual comfort is essential on the road, so this bus offers overhead individual reading lights and air controls, as well as (4) new LCD flat panel monitors streaming from the new DVD player. For quick access to needed belonging, this bus offers enclosed overhead storage. The on board lavatory makes stopping optional. 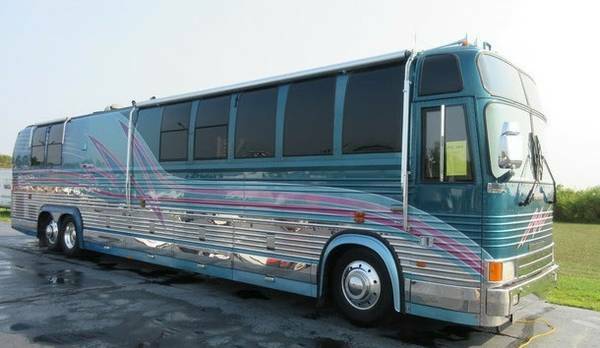 The exterior of this motor coach is nothing to be ignored. With new paint, Alcoa Aluminum Wheels, and locking underbody pass through luggage, your passengers will be excited to board for their next adventure. Boarding is made easier with the Drop-Down Kneeling Suspension, lowering the step height. 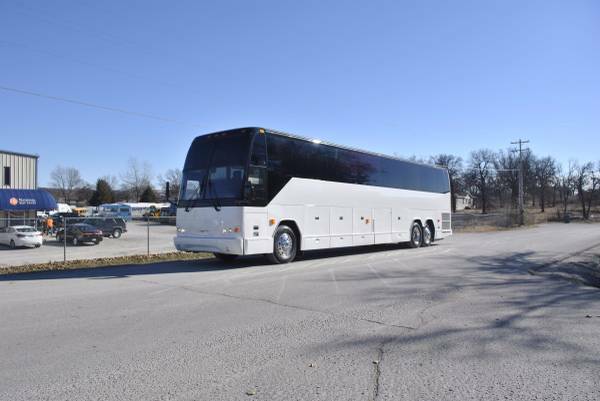 To view the rest of our inventory, please visit www.NationalBus.com or give us a call!